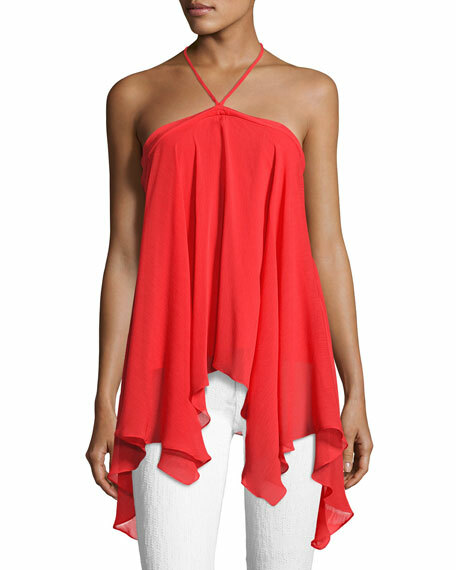 Alice + Olivia "Tish" chiffon tank blouse. Approx. 15"L down center back. 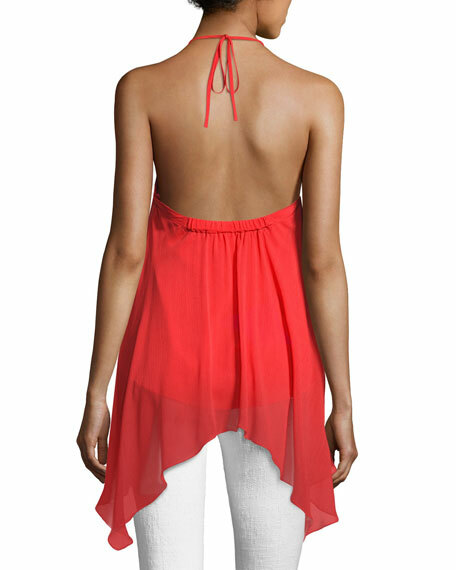 Thin halter straps tie behind neck. For in-store inquiries, use sku #2194610.